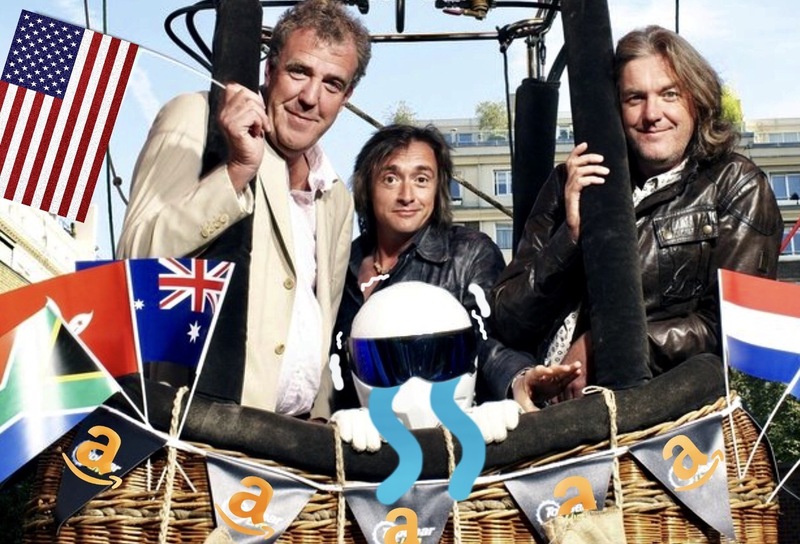 When I was in my high school, I had no internet connected to my PC, and every time I got myself sit in front of my grandfather’s IE browser, I would lose myself by clicking those pirated Top Gear clips one by one. I found that show by searching video clips with the keyword Land Rover, a brand at that time was rarely mentioned let alone to find one in my little hometown. Days after watching numerous video, the one in which a massive Range Rover Sport failed to challenge the Challenger from British Army during a mud rally and got itself shot by the tank remained in my brain, along with the ending title of that show: the swirling gear. Organically, I turned out to be a Top Gear junky until Jeremy got himself fired. But thank god, Jeff Bezos not only saved the professionalism of the Washington Post, but also the team from the most energetic and biased car-related show, and by the time the billboard ads posted around the Subway stations, I had already planned ahead my watching schedule and environment for thousands of times. When the first episode was released, I along with three of my friends back in China tuned to it. It was awesome, and I ended up watching that very first episode for four times in the following seven days, despite my tight academic schedule. And you know a BUT is coming. At one particular moment when I was watching the apparently plotted overreaction from James to the Hellcat with Hammond in it (doing bluffing donuts all the time), I knew I dislike this Grand Tour to some extent. It is surly grand, but somehow it lost some feeling from the last show and kept feeding me with bluffing explosion and slow-motion effect. The most unacceptable item here in the GT is its flirting with the section of the Celebrity Brain Crush, in which every single celebrity would debut swiftly and then die in a stupid way, sometimes by the leaking electricity, at times ambushed by a tiger, without leaving a single word to the audience. I have to concede I was rather amused by the way they pick up those celebrities the first time, but soon this setting becomes predictive and agitating. Why should I have to keep laughing at the aging joke? All of my friends hold the same opinion with me over this: fool me once you three are the genius, fool me a season oh my eyes! Then comes their American counterparts of the Stig, a role the three presenters pay no respect & further attention to in this season. In the original Top Gear, despite the fact he never opened its mouth, the old Stig(s) were never short of personality and the show successfully established a symbol of coolness in style, humor in taste, and the unbiased control of speed. On the contrary, what we have now in the GT is a racer who will try his best to blurt out American slang/stereotypes towards cars as nature as possible when doing the lap time. To make the situation even worse, Jeremy pays no respect when moderate his laps, and the whole show forgets his existence the rest of the time. The final outcome is way worse than the previous Stig, no impression of personality, no impression of performance. Someone might argue with me that this is exactly the way they want this section to be so that they can pick up their previous work. I won’t buy it. If you still need billboard of lap times, please take it more creatively or this whole section will be as banal as the jokes from the yankee racers. But, not all bad news. Now it is precisely the time to binge watch the old TG series and wish the season 2 of GT a better curation. Previous Post Previous post:Wingsung 730: a hooded legacy.